Strong and secure estate gates in a wrought iron style. Suitable for any driveway entrance or large opening. 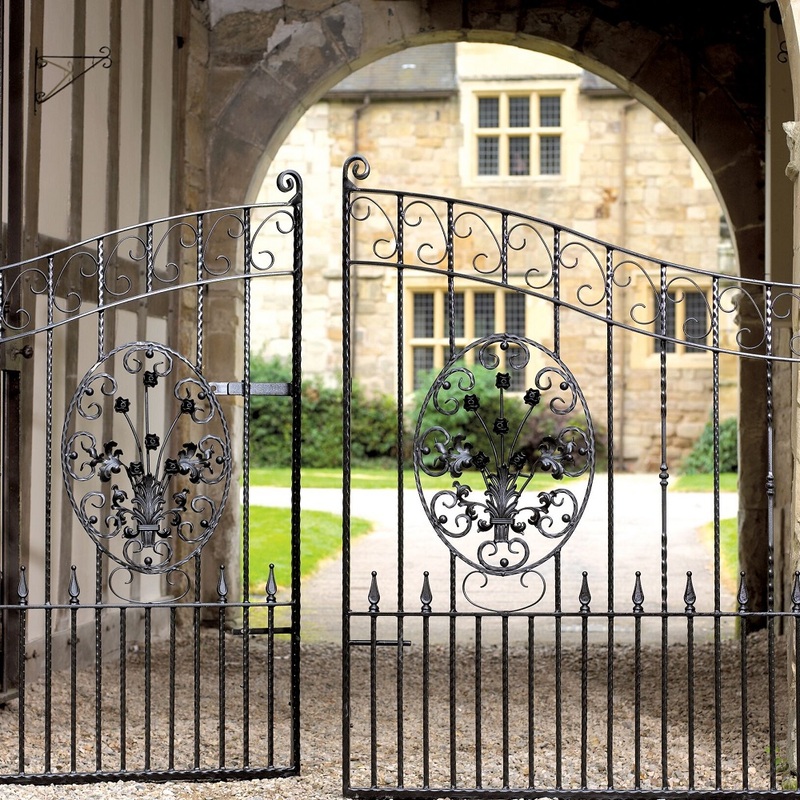 Suitable for a range of larger driveway openings the imposing Balmoral wrought iron style estate gates feature a large central motif, arched top and decorative finials to provide a timeless appeal that is unrivalled within our range. Large estate gates are perfect for any wide driveway entrance. Attractive design elements create a wonderful overall appearance. Gates feature 40mm x 30mm hanging stiles, 40mm x 20mm closing stiles, 40mm x 10mm cross rails, 16mm x 5mm scrolls and 15mm square tube infill bars. Supplied with adjustable hinges, sliding latch and drop bolts. Balmoral wrought iron style estate gates come in a black primer finish ready to be painted before you install them. Suitable for automation (some modifications may be required). 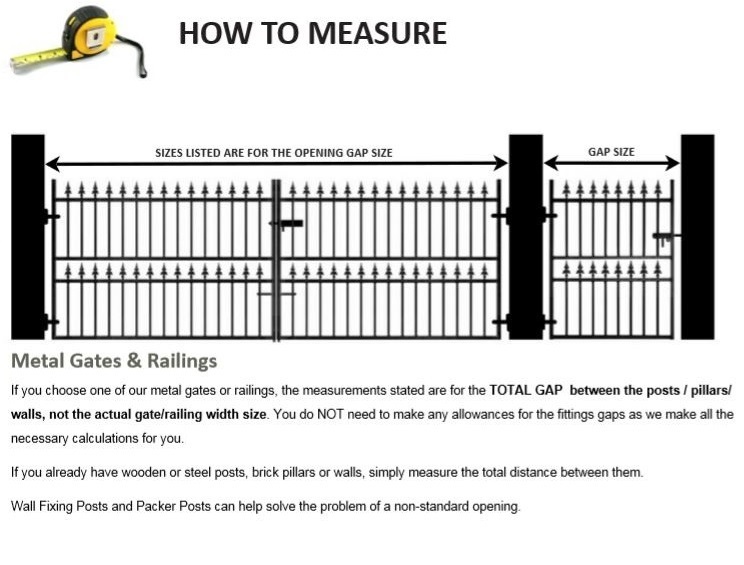 Unsure of what size gates to order? Take a look at this page or contact us now for more assistance. If you would like to add a low maintenance finish, would like to upgrade the security features or need posts to complete the installation we can offer the following items. To find out more information about the above options and upgrades please contact us by phone, email or online enquiry form and we will be on hand to provide support, answer your questions or provide you with the additional costs.